Pay Once, Order when you need. CDCLICK is always looking for new ways to meet the companies needs. 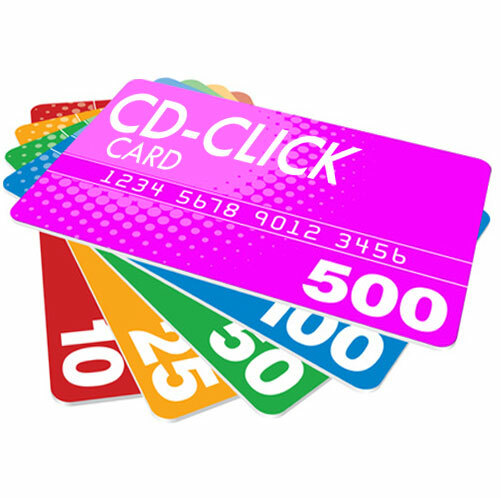 For this reason CDCLICK offers an innovative credit management. If you produce monthly 100/200 CD but yearly 1000/2000 CD, this is the service right for you! For example, you may subscribe to the "package 2,000 CD": in this way you will produce 50 cd in the fast CD-Click lane and cost to you 0.90 instead of 1.80.
ask us for more infos. How Do You Print and Burn with Subscription? Download CDCLICK i-Studio (it's free). Create and Upload your Project ready to be printed and burned by CDCLICK.